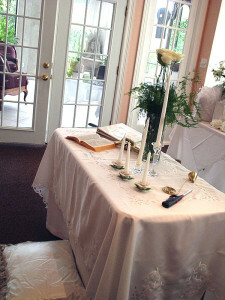 Need a formal and intimate dinner for a large group? 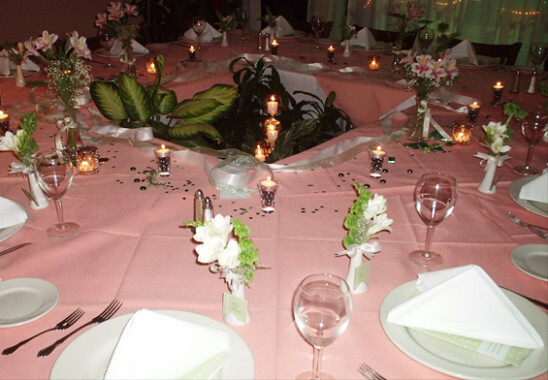 Whether you are planning a corporate function, professional meeting, fundraiser, holiday festivity, wedding, birthday celebration, anniversary party, or retirement gathering, enjoy yourself and pamper your guest. 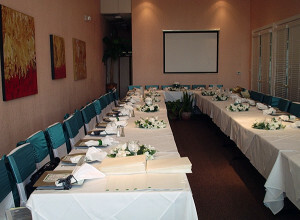 Our Private Room is available for parties or business meetings, from exquisite receptions to special times such as birthday parties, anniversaries, graduations, bar mitzvah or bat mitzvah, and more. Pamper yourself with a fabulous private dinner prepared and presented by our world renown chef. Make your special occasion even more memorable by immersing yourselves and your guests in the irresistible charm and character of Meson European Dining. Our superb reputation for private dining ensures that we pay just as much attention to the quality of the setting, recognising too that fine tableware and excellent service can lift a meal from great to a truly memorable experience. So whether you’re planning a wedding, honeymoon, anniversary, or birthday party – or a business event – treat yourself and your guests at Meson European Dining where the ‘olde worlde’ style of bygone days mixes with gentle informality and wonderfully attentive service. Make your special occasion even more memorable by immersing yourselves and your guests in the charm and character of Meson European Dining . Our excellent reputation for private dining ensures that we pay just as much attention to the quality of the setting, recognising that fine tableware and excellent service can lift a meal from great to a truly memorable experience. Enjoy the luxury and comfort of being looked after by a dedicated staff with real character. Meson European Dining is an ideal venue for any event requiring spacious and characterful reception rooms, lovely period accommodation for all of your guests and a unique friendly atmosphere.